In another epic clash between the Eagles and the Sultans, this time the game wasn’t decided in the sixth inning like the previous three contests but this time in the bottom of the ninth inning. 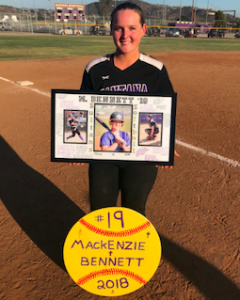 Santana senior Mackenzie Bennett on Senior Day. Before the monster shot in the ninth inning, the almost playoff-like crowd with all the cars parked in the outfield and the stands packed brought an almost playoff atmosphere and was treated to another exciting contest. 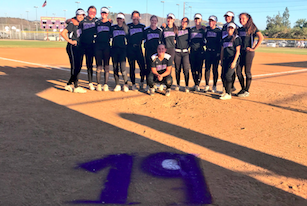 The Eagles (22-7, 6-1) who came into the contest having won 15 games in a row and also having clinched the Grossmont Hills League crown last Friday started off by taking advantage in the top of the first inning. Leadoff hitter Bailey Wallace (1-3, R, RBI, 2B) walked, Brooke Bertussi followed by trying to advance Wallace on a bunt but instead the fielded ball was thrown into right field which allowed Wallace to come around. With the Sultans miscue, the Eagles led 1-0 early on. However the Sultans (19-9, 5-3) came right back in the bottom of the first inning as Krysten Service (RUN) walked and Mendez (3-5, R, RBI, HR) singled. Service would later come around to score on an Eagles error to tie the score 1-1. Once again though the Eagles retook the lead in the top of the second inning on a Wallace smash double that scored Rylee Omahen (1-3, R) to make it 2-1. 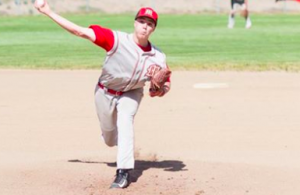 After shutting down the Sultans in order in the bottom of the second the Eagles had a golden opportunity to extend their lead in the top of the third. Things started off with Haley Johnson (1-4, 2B) roping a double to center field to leadoff and Staci Chambers followed with a walk. However neither would be advanced as Mendez was able to get out of the jam to end the inning. Santana in the bottom of the inning got rolling with a lead walk by Natalie Sims, a couple batters later with one out Mendez would hit what looked like it rolled off her leg but no call was made and the ball was fielded and misplayed with a bad throw to first which advanced Sims to third. She came into score on a Mackenzie Bennett (2-4, RBI, 2B) ground ball to tie the game at 2-2. Both the Eagles and Sultans had opportunities in their respective halves of the fourth inning but both Chambers and Mendez battled through and shut down the threats to keep the game tied. 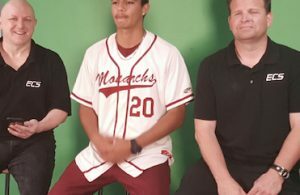 Another opportunity in the bottom of the fifth presented itself for the Sultans as Mendez singled with one out, Marilyn Downing into run, Bennett came up and hammered a double to left to advance Downing to third. However, both wouldn’t advance. Moving to the sixth inning which against the Sultans has been the magical inning the previous three contests for the Eagles. But not this time as Mendez was able to retire the Eagles in order. Santana would get a couple baserunners on as Shelby Holmquist singled and Downing walked but Chambers was up to the task and retired the next two batters via punch outs. The Sultans had an opportunity to win the game in the bottom of the seventh inning with one out as Bennett singled and Ashley Madrigal walked. Once again though Chambers answered the task and struck out the next two batters to end the inning and send the game into bonus play. Granite managed only a walk in their half of the eighth inning while the Sultans managed to get on by error. With one out in the top of the ninth Brooke Bertussi was hit by a pitch, Ottley in to run, Chambers walked which moved Ottley to second. Unfortunately neither would advance further. Leading off for the Sultans in the bottom of the ninth was Mendez who on the day was 2 for 4. She took the offering by Chambers and crushed a Babe Ruthian towering fly ball over the scoreboard and into the tennis courts for the walk-off home run. The home run by Mendez was her ninth on the season. With the win, the Sultans snapped their four-game losing streak as they had lost six of their previous seven ball games coming into the game against Granite Hills. Also, they snapped the Eagles 15 game winning streak. “This win gives us more confidence as playoffs are right around the corner, we have talent despite losing the last four games but I think we are fine now.” Said Mendez. Chambers for the Eagles tossed 8 innings in the loss giving up 3 runs of which 1 was earned on 8 hits while walking 4 and striking out 12. For the Sultans Mendez went 9 innings giving up 2 runs of which only 1 was earned on 4 hits while walking 8 and striking out 11. The Wolf Pack took an early lead and never looked back as Star Gaylord drove in 5 runs and helped the Pack take advantage of opportunities presented. Gaylord got the Pack on the board first in the top of the first as she roped a two-out double that scored both Haley Valles (RUN) and Gabby Clippinger (2R) to make it 2-0. Grossmont had an opportunity in the bottom of the first as Candace Henderson (2-4, 2B) reached on an error to leadoff, Katie Appenzeller (1-3) followed with a base hit, a couple batters with one out Jordan Brown walked to load the bases. However, neither would advance as Kimie Brouard retired the next two batters to get out of the inning. West Hills added another run in the top of the third inning as Ashleigh Hartwig (2-3, 2R, 2B) scored on a Grossmont miscue to make it 3-0. However, in the bottom of the third inning, the Foothillers cut into the lead when Samaria Roope (1-3, RBI) singled to score Kimmy Bond (RUN) to make it 3-1. 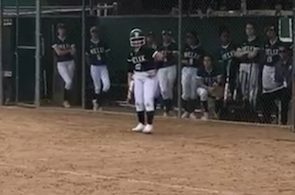 They added another run in the bottom of the fourth to pull within 3-2 as Jessica Medlin hit a ball to center that was misplayed which allowed Juliana Garcia (RUN) to score. West Hills tacked on to their lead in the top of the fifth on a three-run jack by Gaylord that brought in both Hartwig and Clippinger to make it 6-2. Another run came in for the Pack as Dakotta Mershon (RUN) scored on a sacrifice by Alyssa Barbolla. The Wolf Pack again pushed across a couple more runs in the top of the fifth starting with Alyssa Bubar (RUN) reaching on an error, Hartwig singled, Clippinger reached on an error and Bubar coming into score on a Gaylord ground ball out that went for a double play, Hartwig would score on a ground ball hit by Mershon that was misplayed to make it 9-2. Grossmont had an opportunity in the bottom of the seventh inning to score as Henderson led off with a double, Bond into run and a couple batters later Kati Contreras (1-4) which advanced Bond to third. Both would neither advance as Brouard got out of the jam to end the game. “I pitched Kimie as both myself and my coaches just had a feeling from watching her bullpen session at practice on Monday. She really controlled them and shut down their bats for the most part. I am so proud of my girls. We have everyone back and healthy, including my 2B the last three years Mikayla. Her broken hand healed surprisingly well, and she is an incredibly tough kid. We’ve been getting closer to peaking again the last few games just like last year, and we hit our stride today. Today we looked like the team that started out the season 3-0.” Said head coach Mike Applebaum about the big win. 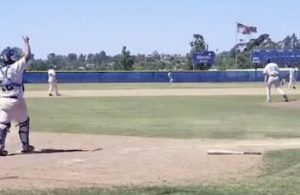 In the loss for the Foothillers, Roope went all 7 innings giving up 9 runs which 4 were earned on 5 hits while walking 3 and striking out 8. For the Pack in the win, Brouard went all 7 innings giving up 2 runs which 1 was earned on 5 hits while walking 3 and fanning 8. The win by the Wolf Pack snapped a four-game losing streak and also napped the Foothillers four-game winning streak.